Cat Ba island is the biggest one among 1969 islands on Halong bay. - Enjoy time on more than 5 different beaches around. 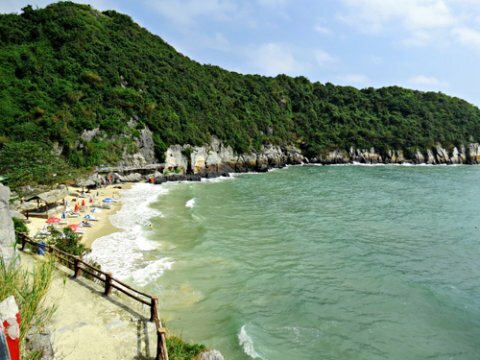 Taking only transportation to Cat Ba island is a good way for you to do those things by yourself with more freedom. We offer 2 ways bus which are everyday departure. - Drop off in Cat Ba town. 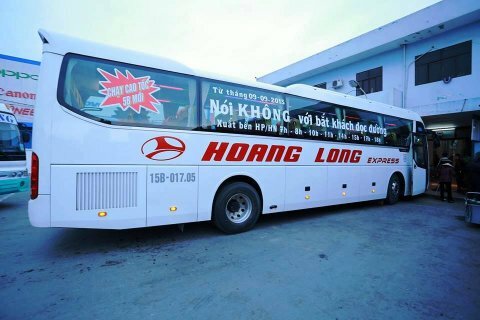 - Bus from Hanoi – Got harbour (Hai Phong): 2 hours. 7.30 - 8.00 am: Our guide and car picks you up at the hotel in the Hanoi Old Quarter then takes 2 hours to Got pier. 9.30 - 10.00: At Got pier, get on speed boat to Cai Vieng harbor. 10.30: At Cai vieng harbor , get on bus to Cat Ba Town (last stop). 11.30 - 12.00: Arrive in Cat Ba Town, get dropped off in hotels in Cat Ba town. Included: English speaking guide, speed boat ticket, bus ticket to Got pier. 9.30 - 10.00 am: Our guide and car picks you up at the hotel in the Hanoi Old Quarter then takes 2 hours to Got pier. 11.30 am - 12.00 pm: At Got pier, get on speed boat to Cai Vieng harbor. 12.30: At Cai vieng harbor , get on bus to Cat Ba Town (last stop). 13.30 14.00: Arrive in Cat Ba Town. Get dropped off at your hotel in Cat Ba town. 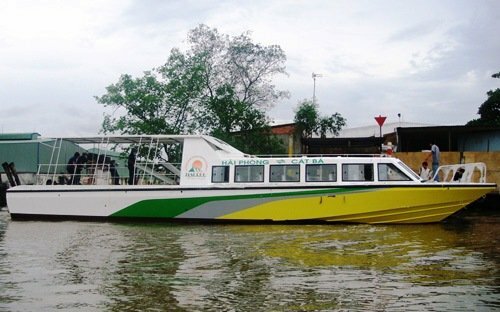 Included: English speaking guide, speed boat ticket, bus ticket Hanoi to Got pier. 12.30 pm - 13.00: Our guide and car picks you up at the hotel in the Hanoi Old Quarter then takes 2 hours to Got pier. 15.00: At Got pier, get on speed boat to Cai Vieng harbor. 15.30: At Cai vieng harbor , get on bus to Cat Ba Town (last stop). 16.30 17.00: Arrive in Cat Ba Town. Get dropped off at your hotel in Cat Ba town. Included: English speaking guide, speed boat ticket, bus ticket Hanoi to Dinh Vu pier (Hai Phong city), Cai Vieng pier (Cat Ba town) to Cat Ba center. 14.30 - 15.00: Our guide and car picks you up at the hotel in the Hanoi Old Quarter then takes 2 hours to Got pier. 17.00: At Got pier, get on speed boat to Cai Vieng harbor. 17.30: At Cai vieng harbour, get on bus to Cat Ba Town (last stop). 18.30: Arrive in Cat Ba Town. Get dropped off at your hotel in Cat Ba town. Hanoi Oldquarter – Road 5B – Hai Phong City – Got Pier - Cai Vieng harbor – Cat Ba town (last stop). 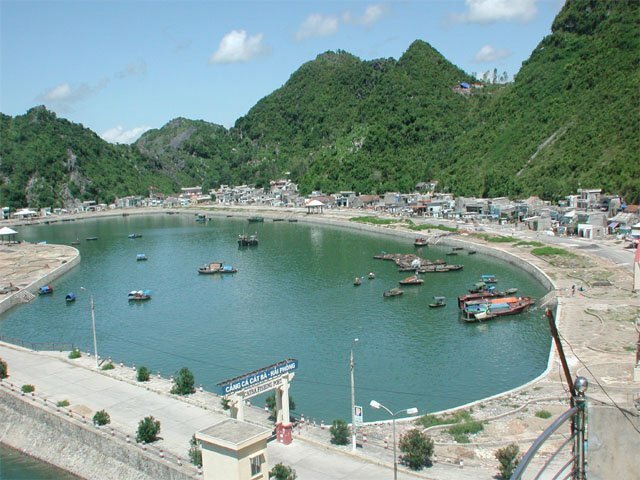 - Pick up from hotels in Cat Ba town. - Bus from Got harbour (Hai Phong) - Got harbour: 2 hours. 7.00 - 7.30 am: Our guide and car picks you up at the hotel in the Cat Ba town then takes 30 minutes to Cai Vieng Harbor. 11.30 - 12.00: Arrive in Hanoi Old Quarter (last stop). Included: English speaking guide, speed boat ticket from Got pier (Cat Ba town) to Cai Vieng harbour (Hai Phong), bus ticket from Cai Vieng Harbour to Hanoi Old Quarter. 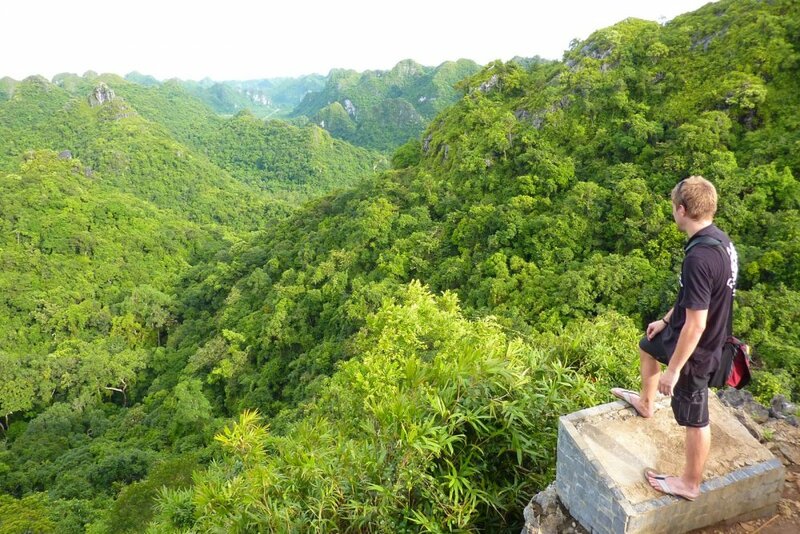 8.30 - 9.00 am: Our guide and car picks you up at the hotel in the Cat Ba town then takes 30 minutes to Cai Vieng Harbor. 12.30 - 13.00: Arrive in Hanoi Old Quarter (last stop). 13.00 - 13.30: Our guide and car picks you up at the hotel in the Cat Ba town then takes 30 minutes to Cai Vieng Harbor. 17.00: Arrive in Hanoi Old Quarter (last stop). 15.30 - 16.00: Our guide and car picks you up at the hotel in the Cat Ba town then takes 30 minutes to Cai Vieng Harbor. 19.30: Arrive in Hanoi Old Quarter (last stop). Hotel in Cat Ba town – Cai Vieng harbour - Dinh Vu harbour – Hai Phong city – Road 5B - Hanoi Old Quarter (last stop). You can rent motorbike in any travel agencies in Hanoi to slowly driving to Ha Long city then Tuan Chau island and and you book ferry ticket from Tuan Chau to Cat Ba. 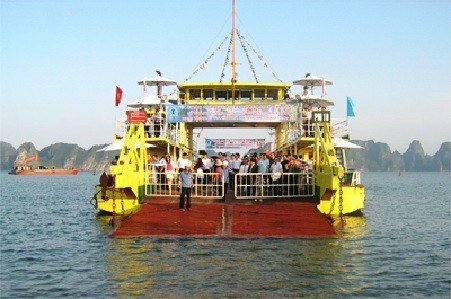 There are only 2 ferries to Cat Ba island 1 day . For a good quality for motorbike, it costs about 8 USD per day which can be for 2 people sit on. You should drive slowly, it is more safe and you also can enjoy landscapes and photos shooting on the way. Normally, you have to give your passport to agency to deposit for the motorbike. - You should be carefully before renting because roads to Ha Long bay are very dangerous with traffic jam, bad road. - You should read the contact carefully and choose a good motorbike, furthermore you should check careful with their mechanic service conection in case your motobike is broken on the way. You can book and join a tourist bus from companies who organise tours to Cat Ba. 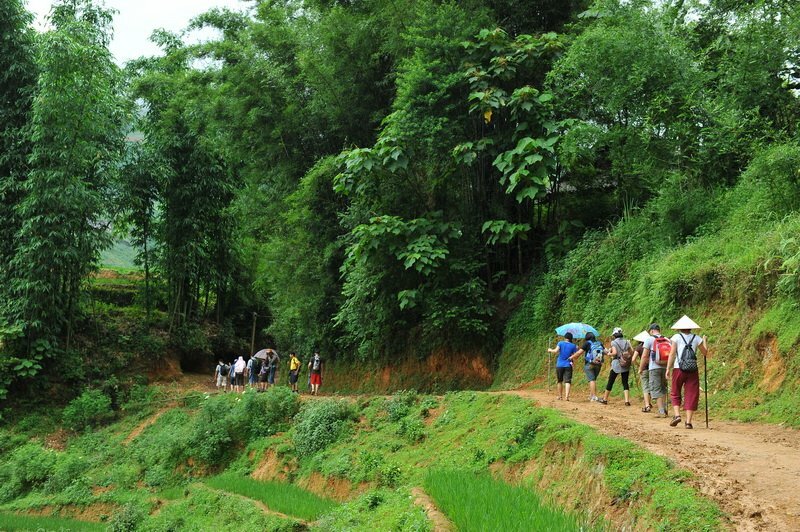 On the other hand on the tourist bus to Cat Ba you will have tour guide to take care you. But you can only go in the morning bus (7.30 am) to join this bus. If you don’t mind getting up in the early morning, then this can be an option for you. It costs about 18 USD per person one way. This option seems to be the most convenient one for you if you have a group of at leasts 3 - 4 people join with you. Because, you can decide to get picked up whenever you want, and this car won’t go around the town to pick up people. If you go alone or two small group, it is a bit expensive. It is about 75 USD for a 4 seats car and 89 USD for a 7 seats car. 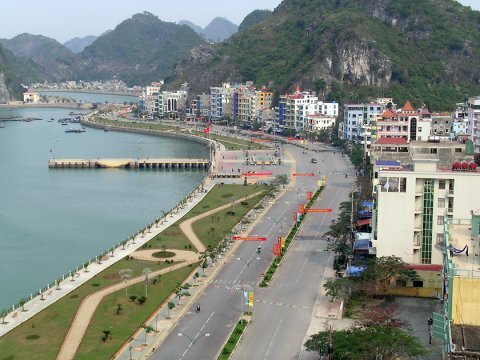 You can just book a private car to Dinh Vu harbour in Hai Phong city from where you can buy tickets to Cai Vieng harbour by yourself. When you get off the speed boat, it is very easy to take a taxi to your hotel in Cat Ba town. This is not a good option if you would like to save money. 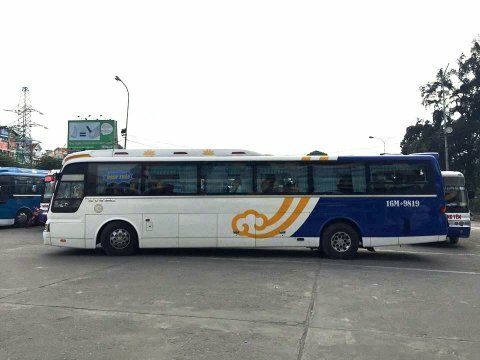 You can take a taxi to Gia Lam, Nuoc Ngam bus station to book ticket. You book ticket to Hai Phong city then bus timetable is not flexible only 2 times. Purchasing bus ticket by yourself, it means you have to arrange verything: taxis, contact driver, finding the right bus among hundreds buses in station... It is not very easy when you dont speak the language and local people here dont speak English too. - Our bus stops at Cat Ba town the centre of Cat Ba island. You can easy to find hotels . - At Cat Ba town you can rent a private boat to discovery Lan Ha Bay with 70 USD per 4 hours. You also can book the group boat tour (4 hours) to discovery different islands on Lan Ha Bay with only 20 USD/ person. You can visit Cat Ba all year, but the best time to travel to Cat Ba island is in Summer and Autumn (From April to October). Because you can see this view very clear from the boat trip, and you also can enjoy the best swimming time on beaches here. You should avoid weekends because it is full of people on this small island, beaches… All services here will be overcharged and the quality of them are not as good as week days.